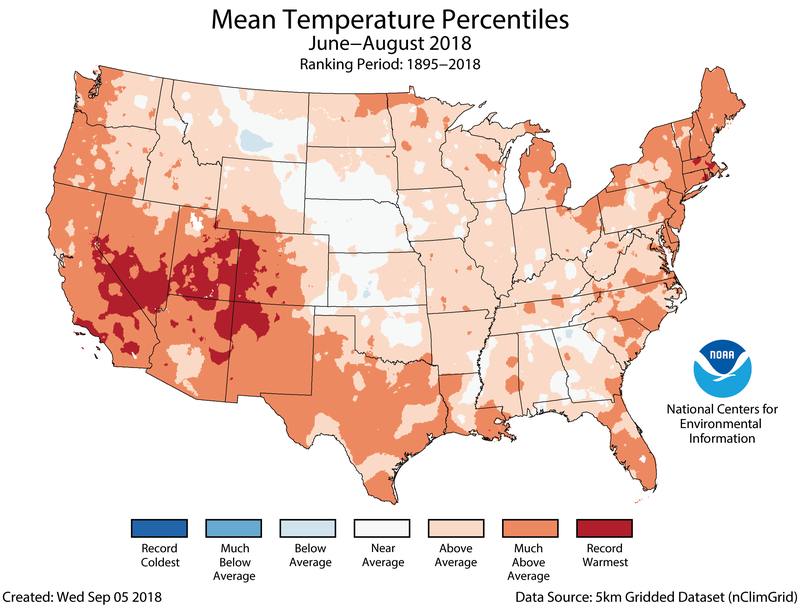 During the meteorological summer (June through August), the average temperature for the contiguous U.S. was 73.5 degrees F, 2.1 degrees above average. 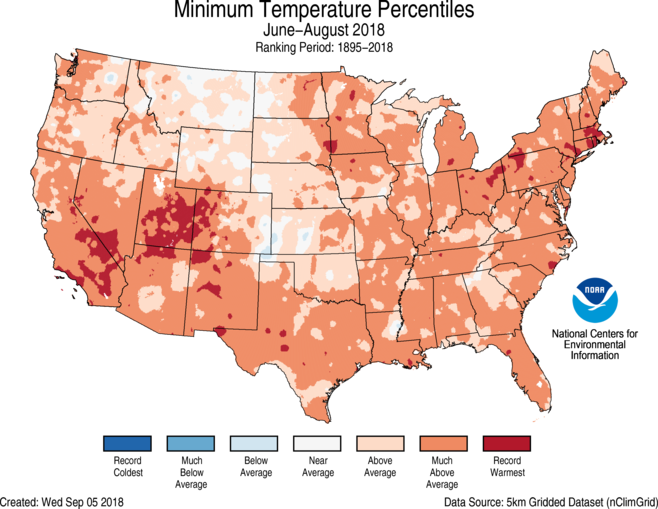 The nationally averaged minimum temperature (overnight lows) was exceptionally warm during summer at 60.9°F, 2.5°F above average and 0.1°F warmer than the previous record set in 2016. 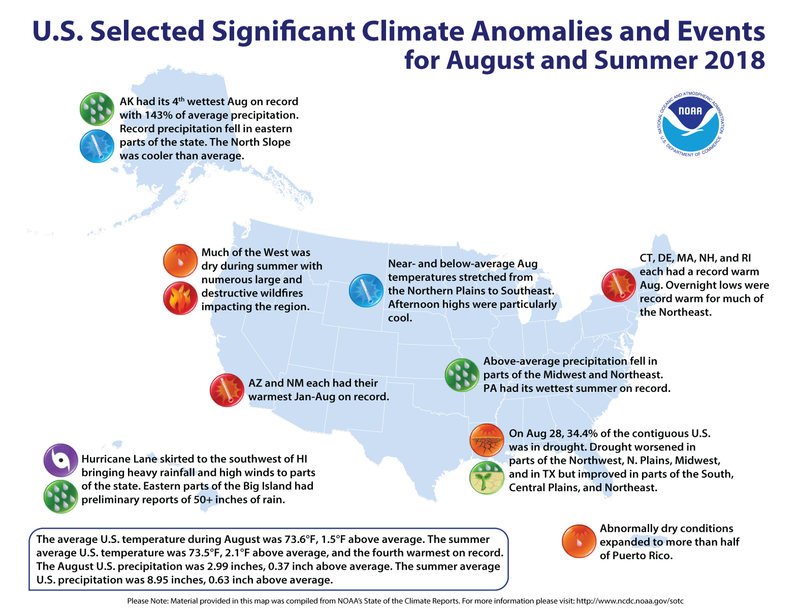 Every state had an above-average summer minimum temperature with five states record warm. Hurricane Lane drenched Hawaii, bringing massive flooding and extreme rainfall (preliminary reports of more than 50 inches in places) to parts of the Hawaiian Islands. 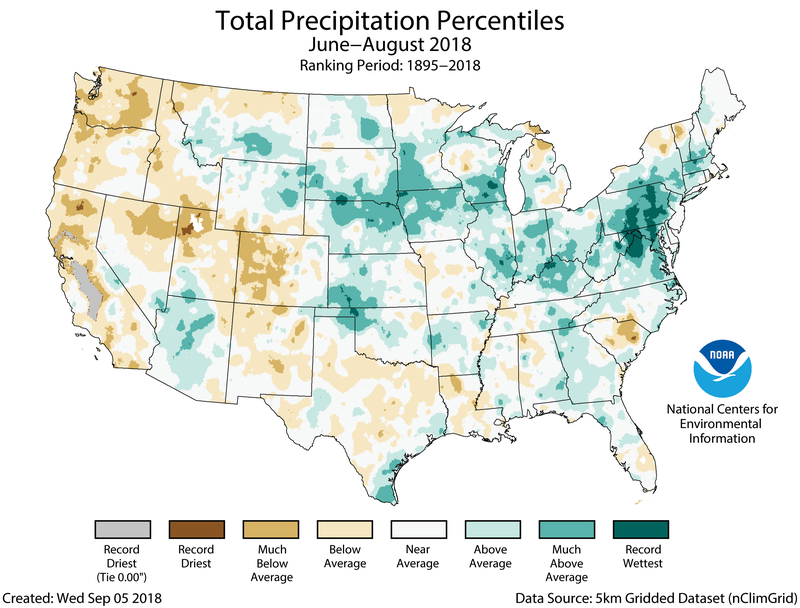 The drought increased slightly as summer ended with 34.4 percent of the contiguous U.S. in drought, up from 34.1 percent in July.